@TribeSteemUp's Curation Trail Is Up To 40 Followers! Just 5 minutes to support your community & maximize your rewards! The list of creators started off relatively small last summer, all people that @kennyskitchen knew personally, and has since expanded based on recommendations from within the growing community, new members of the Tribe joining Steemit, and new Steemit creators who are in alignment being discovered. Everyone who is added to the list gets an 11% vote automatically, and those who invest in the project get a higher vote %, based on a tiered system. Everyone who has invested in the @TribeSteemUp account gets a split of the curation rewards, equal to their portion of the total investment (after a 10 week vesting period). 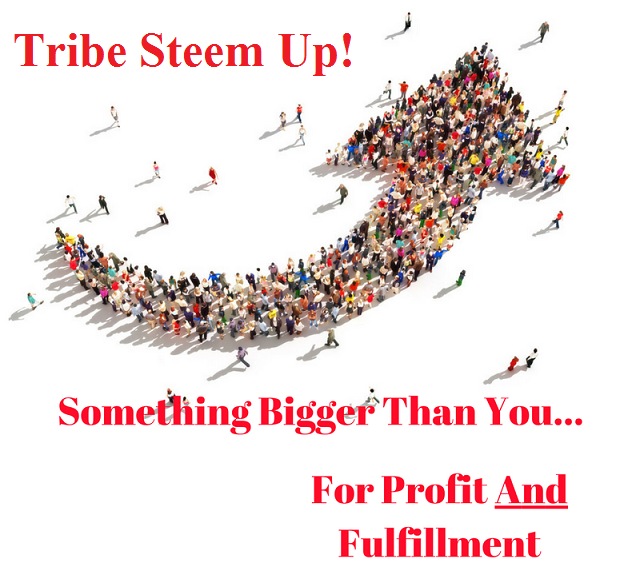 As always, the author rewards for this post will be converted to STEEM and powered up in the @tribesteemup account, both increasing the votes everyone receives, and rewarding everyone who delegates SP to the project. @TribeSteemUp is supporting over 150 creators! It takes a LOT of time to copy this list over, so I'll just point you towards @tribesteemup's following page to see everyone who is on the list. 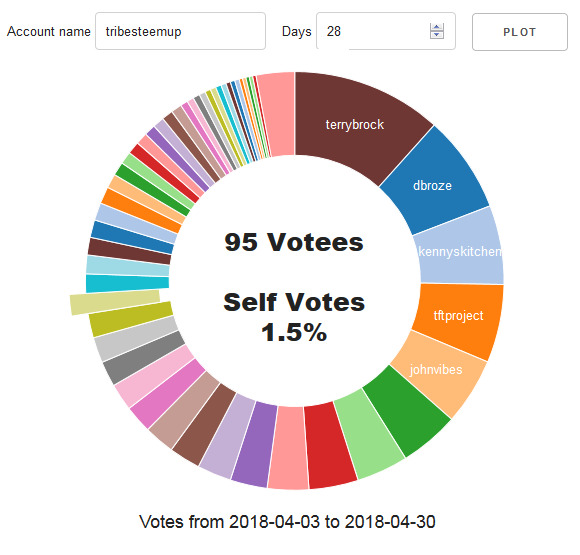 Here you can see the last 4 weeks of voting (thanks to SteemReports, obviously quite a bit of our tribe is dormant right now, as there have only been 95 accounts voted on. It's easy to support your community! To follow the curation trail (which simply means that your account will up-vote everything that @tribesteemup up-votes, follow these simple instructions to set yourself up on @SteemAuto, then go to @TribeSteemUp's Curation Trail and click follow. 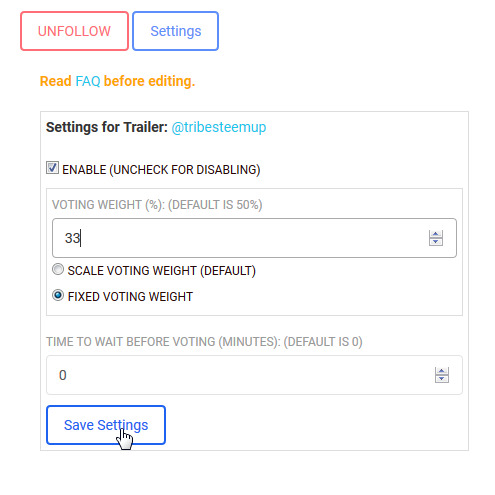 Once the page reloads, you will have the option to adjust settings; I would recommend "fixed voting weight" and setting the weight to around 33%, unless you like to do a lot of manual voting, then down to 11-22%. The most efficient way to vote until you get the "slider"
Your other option is to simply delegate your SteemPower over to the @tribesteemup account. What this means is that the SP stays in your account, but it's voting strength is used by TSU instead. The more that you delegate to @tribesteemup, the higher your upvotes received from the primary bot, and everyone who invests is splitting all the curation rewards of the account. Here's my whole breakdown on how to delegate SP over. The main reason to keep using this option in addition to or instead of the curation trail, is that I have manual control over @tribesteemup, so even if the bot skips a post, I can hand-vote it. If the curation trail isn't working for some reason, I can't log into all those accounts and upvote all the recent posts with each of them. It's also great to have that one big vote coming in, helps bump posts up the hot/trending lists as well. Another one of the options on SteemReports is called the Enhanced Votes Graph, which shows you your network's voting patterns. Let's see how big of a cloud we can turn this into!! Oh, wow! How did I not see this curation trail before.. Your target topics are pretty much most of my main topics.. Thanks for today's upvote! It was kept pretty low-key for the first 6 months while I worked out the finer details & got it to the point of proof-of-concept. Now, it's fully up & running, has a bunch of SP, and is rapidly expanding :-) Glad to have you with us! I see ok, good work on securing the delegation.. it can make a sizeable shift in the direction off steem in general I think. I am currently thinking about features for communities and curators to add to steemocean, so let me know if there's anything you need. I just added a way to check how many votes a user has made for a specific tag and also the value of the votes. Thank you for doing all the wonderful work you do, and helping support the community! We're creating a potent feedback loop of support & abundance for the movement! 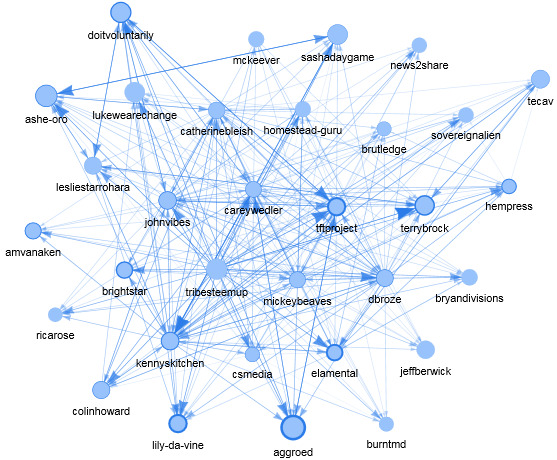 Sweet, I'm now following the curation trail with Steemauto. Thanks! Thank you brother! I've just updated the list of people following the trail :-) Got 6 new ones since posting this yesterday! The @paradise-paradox account is now following also. Hi @tribesteemup, I really like how this community works and the ethos behind it, I would really like to become a supported author, how can I go about doing that. It's really great to see this happening. Thank you very much, I feel honoured to have been added, especially as it is hand curated and selected. I'm now following the upvote trail!!! I love it Kenny, I will be delegating more STEEM to TSU tomorrow after I talk with you about it some more. I saw your little announcement on FB too, that is awesome news! Just good news all around. I have been putting out some awesome content lately and have more to come, so this is all happening at the right time. I hope your having a fun trip buddy, see you soon. Awesome work you brilliant man! I have just del 30 more STEEM to TSU & JOINED THE TRAIL!! WHOOOOOHOOOOOO! Check ur Teleg when you get a sec. I love TSU, i will be del more to TSU as time goes on, and correct it to 50 steem total today. contacting you now. I'm joining! An honor to be a part of this project. Thanks! I've added you to the list, keep putting out your great content! One note, and just a personal preference thing so I'm curious, why are post your titles all in CAPS? wow! thanks so much. for the aesthetics. Usually titles of articles, books etc are highlighted. I didn't notice I was the only one :D I'm still a bit confused with steemit... bots, programs etc. (big titles). Would it be better to make them small? thanks! Our Heart is the doorstep to the bond of Oneneess which permeates all of us, being endowed with the unquenchable source of passion capable of creating a Universe of stellar Self-containment that instantly remunerates us with effervescent Joy the moment we GIVE it to the world. It is great to see your selflessness, for only when we are selfless we recognize our Self, and when we recognize our Self, we see the beauty in everything unconditionally. Is there a way to get part of it? Having used bid bots twice was enough to not make me want them use again. I love this idea, will look to join. A great way to support people attempting to make a difference in the World. How does one go about becoming a supported author too? You've been added to the curation list :-) Thanks for bringing great content to Steemit! I have to thank you a lot more for helping new people. Your community is one of the best ways to stimulate people. Thank you once again for adding me and have a nice day. 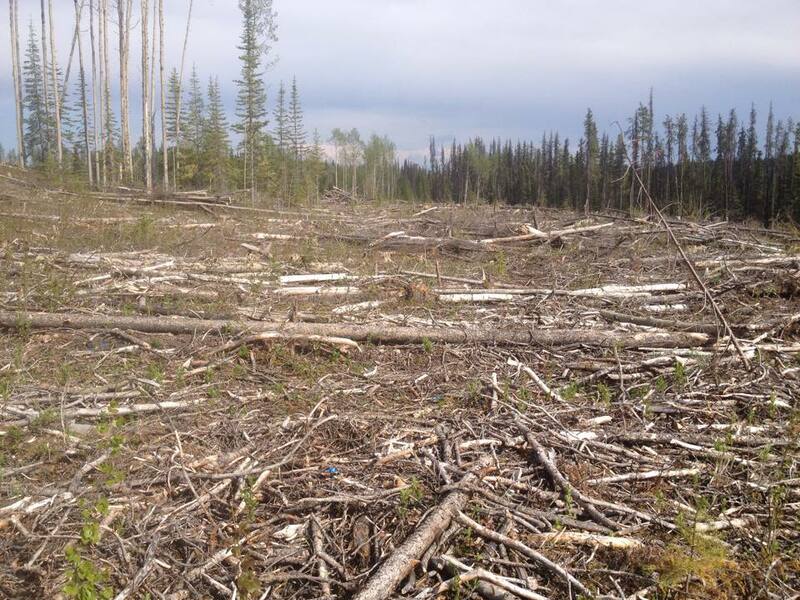 great idea to use your upvote power im going to join the trail once my steem power regenerates if you would like to sponsor one of my post's im crowfunding a tree planting trip so my friend is able to come with me ! woot woot! Proud to be a part of this awesome community! I like it. It may work for me. How do i invest into the account? I would recommend stacking your SP until you get to 500 so you get the voting slider before considering sending out to anything else. also Im wondering if i should let my voting power recharge since its at 34% right now. If you follow the curation trail, SteemAuto also lets you set a minimum voting power, and will pause all your voting whenever you fall below that. not sure if I want to use a trail but very nice collection of individuals you have here! This is awesome, im excited to be on the team! !